This match is a tale of two very different Grand Slam histories. The Romanian Simona Halep is 0-3 in Grand Slam Finals, all 3 set heartbreaking losses. At the French Open last year losing 6-4 in the final set to surprise winner Jelena Ostapenko and 4 years ago in Paris losing 6-3 in the 3rdto Sharapova, could tonight she finally be left standing holding the winners trophy? The great Czech champion Ivan Lendl was 0-4 in Slam finals before he won the French, he ended up winning 8 Slams after finally coming through in Paris, Halep will be looking to do the same. American Sloane Stephens has been to one Grand Slam final, last years US Open, and she won it, defeating Madison Keys, but with Sloane its all or nothing, in 8 years of Slam tournaments she’d been to 1 semi, 1 Quarter final and suffered 6 first round losses, but Halep wants what Sloane already has, a Grand Slam title, it’s a fascinating match up. Halep had a murderous draw in Paris, having to defeat Grand Slam Champions Angelique Kerber and Garbine Muguruza in successive rounds. The Muguruza defeat has to give Halep confidence, a 6-1, 6-4 drubbing in a lopsided semi, this confidence is perfectly needed headed into this final. 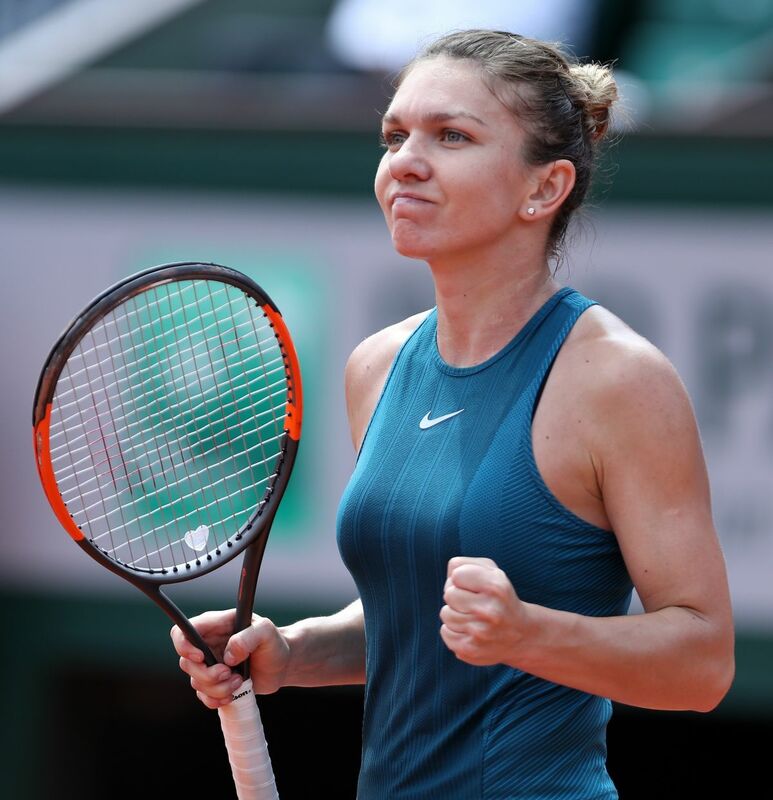 The surface also suits Halep, clay suits her game, as already making 2 French Open finals attests, her true nature is a roadrunner, defense then some more defense then maybe a little offense, if Halep gets this mix right she’ll win. Despite the modest overall Grand Slam record Sloane possess, she has some pedigree in Paris, the Florida resident made 4 consecutive 4throunds between 2012 and 2015 and when Sloane is hot she’s white hot and right now she’s hot. During last years US Open she rode that heat all the way to the title, then proceeded to go on an 8 match-losing streak. Go figure, it really is all or nothing, Stephens can’t out rally Halep, she’ll have to find the right mix of aggression, she has the power and Halep has been known to blink in Grand Slam finals, if this happens Sloane will win her second slam. Halep leads the head to head 5-3 and is 2-0 on clay, you can take or leave previous match ups as Grand Slam finals tend to take on a life of their own, mostly it comes down to who handles the pressure better. It is interesting we have one player who is 0-3 in GS finals and another who is 1-0. I don’t think either will be overawed by the moment but to me Halep has more to lose, I said in my Australian Open finals preview that if Halep lost to Wozniacki 0-3 could become 0-5 quickly because it becomes a mental block that you just can’t get over, that is the danger for Halep. In many ways this match is on Stephens’ racquet, she is more likely to end the point quicker, the problem is either it’s a glorious winner or head-scratching mistake. I predict Stephens will go for it, a lot more than she’s done these past 2 weeks, but it won’t be enough, if you believe in destiny then Halep will win this match and finally win her first Grand Slam. It’s Halep in 3. If you want numbers, here are some for you, Sunday will be Rafa Nadal’s 11thFrench Open final, he is 10-0 on finals day in Paris, his only two losses in Paris have come to rampant Robin Soderling on a damp day in 2009 and a peak of his powers Novak Djokovic in 2015, he is a mind bending 85-2 at the French Open and will be vying for his 17thGrand Slam. This will be Dominic Thiem’s first Grand Slam final. At this risk of stating the obvious, Rafa was built for this surface, great defensive skills aided by the ability to hit under pressure forehands and backhands off the ‘outside leg’, meaning when under huge pressure in rallies he can plant and slide the leg nearest to the doubles alley under full stretch and at least get the ball back to neutral in the rally, its something Djokovic has also mastered. Clay gives Rafa time, time he doesn’t have on quicker surfaces, time to defend, time to run around his forehand and control the rally, time is Rafa’s best friend. But these two weeks he has been more aggressive, at the urging of travelling coach Carlos Moya, the forehand up the line has been lethal, usually hit when he is cemented to the baseline, gone are the days when Rafa would camp 15 feed behind the baseline and just wear opponents down through multiple 20 shot rallies. He is the ‘King of Clay’ for a reason; Rafa being Rafa should be enough in this final. Belief. 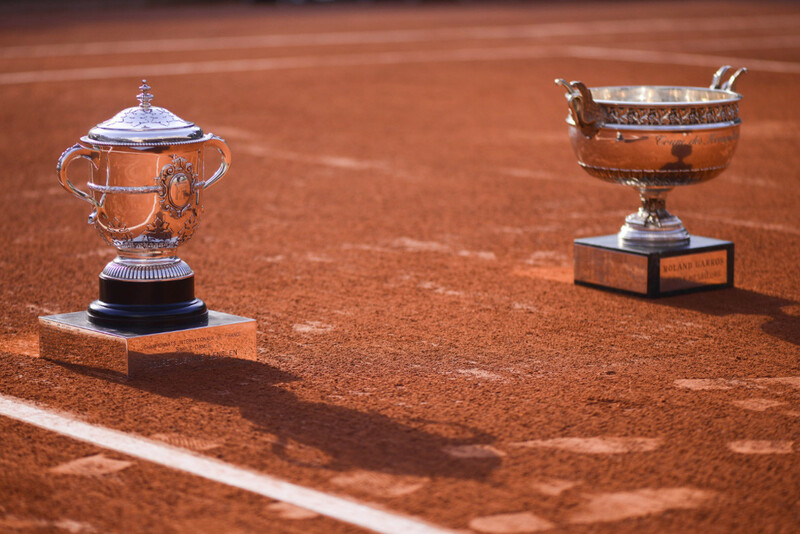 Thiem may have a losing record against Rafa, 3-6 but those 3 victories that the Austrian secured have all come on clay, albeit none over the best of 5 sets format. But still, Thiem knows the superstar from Mallorca is not invincible. 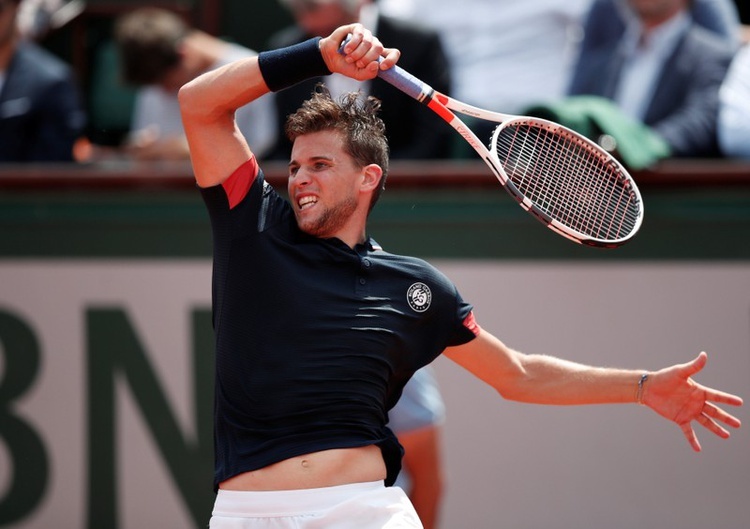 You can see the elevation in Thiem’s game over the years, his style is perfectly suited to the red dirt, a heavy kick serve which can be flattened out, high looping groundstrokes which can be rocketed when needed and an uncanny ability to find angles when there are none. In this match Thiem has to take every chance if they’re presented. He can’t squander break points, he can’t make too many mistakes and he has to play the right shot at the right time, otherwise Rafa will make him pay, Thiem can win this match but he’ll have to play the match of his life to do it. The crazy thing is Theim’s best shot for a victory here could be the weather. Sunday’s forecast is for late thunderstorms and in damp conditions Rafa’s spin and power is somewhat muted; the ball doesn’t jump as much off the clay. When Rafa lost to Soderling in 2009 it had been raining previously, in this years Quarter Finals the Spainard was down a set and a break to Argentine Diego Swartzman in the same damp conditions, the players came back the next day with sunny skies and Rafa won easily. Thiem should pray for early rain but it’s not his only shot, he has the power and the reality is nobody is expecting him to win, and I mean nobody, it would take a very brave pundit to pick Thiem, that should free him up to at least try to red line his game. At 24 years old Thiem is the future, it’s his first Grand Slam final and won’t be his last, but he hasn’t quite arrived yet, the way Rafa demolished Del Potro last night he is locked in, Rafa to win in straight sets. Halep in 3, and Rafa in straight sets. ps. Do you mind please sending me (private message of course) the Lotto numbers for this Saturday. While you’re on a roll I figure I might try and get in on the action lol!!! lol, my problem is I never put a bet on this mystical prediction, if i knew the lotto numbers I’d attempting very poor swimming in Hawaii right now.